Respitech Medical, Inc. has earned the recognition of being a Joint Commissioned Certified Healthcare Staffing Firm. 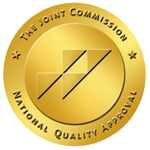 The Joint Commission’s certification program offers an independent, comprehensive evaluation of a staffing firm’s abilities to provide competent staffing services. “Health care organizations that contract with Respitech Medical, Inc. can look to this certification as an assurance that Respitech Medical, Inc. demonstrates a commitment to providing and continuously improving quality services,” says Michele Sacco, M.S., executive director, Health Care Staffing Services Certification, Joint Commission.